Fashion Fix: Camila Cabello’s bleached ripped jeans she wore at Capital FM’s Summertime Ball – MP! 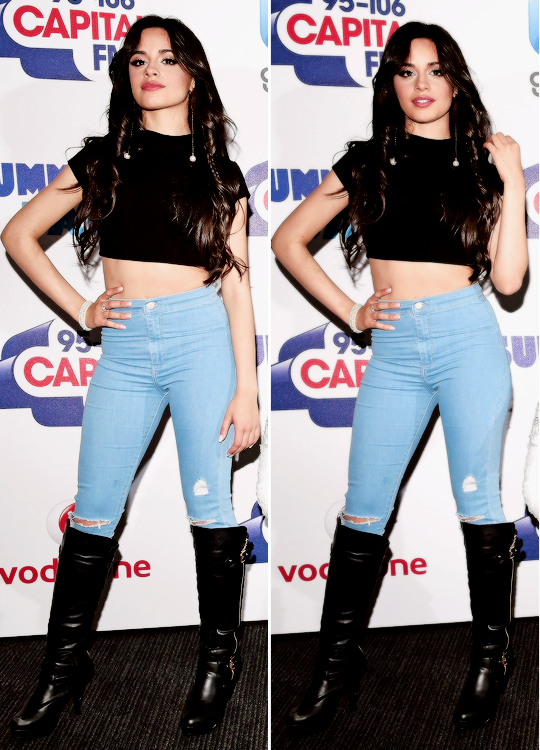 Today’s Fashion Fix is Camila Cabello’s bleached ripped jeans which she wore at Capital FM Summertime Ball. When we’re not wishing we could sing like Fifth Harmony, we’re wishing we could dress like them too. We searched high and low to find Camila’s jeans and guess what? We’ve got an exact match. You can grab Camila’s jeans from Topshop for £38.00. If you manage to get these jeans, please snap a selfie and tweet it to us @maximumpop so we can envy your fab fashion sense. Next article WARNING: This post contains bums. Collabro get their kit off for Attitude.